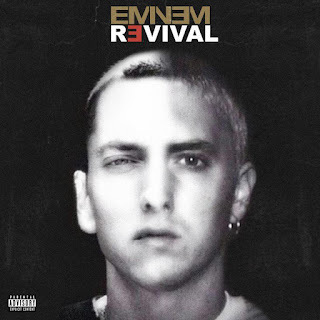 Malcolm's Page: Album #2: Eminem "Revival"
Album number 9 from Eminem, and is it an album that is going to do his legacy any good? His rhyming is on point but the album is too full of collaborations (Beyonce, Ed Sheeran, Alicia Keys amongst others). Eminem was at his best when he spat alone and I still return back to his first albums for that. This album feels like it has too much intervention from record label bosses devaluing the message he's giving in his lyrics. Favourite tracks: "Untouchable", "Remind Me" & "Castle"
Can we have the funny Eminem back please?